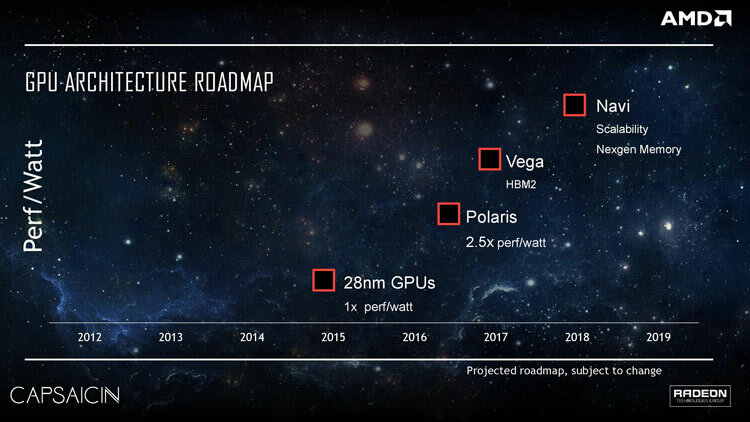 Specifications and details of AMD’s Upcoming Polaris 11 and Polaris 10 based graphics cards have leaked onto the internet, and show that the upcoming Radeon GPU’s are not only going to be extremely powerful efficient, but quite the performance monsters to boot. As is par for the course as a product gets closer to launch, rumors become less wishy-washy and have a great deal more substance behind them. We’ve heard time and time again that Polaris will be made using 14nm FinFet process, drastically increasing its performance per watt, but what does that actually mean for the hardware? 2304 Stream Processors / cores, spread across 36 Compute Units. Though the silicone itself allows for up to 2560 Stream Processors if all 40 Compute Units are enabled. 67DF:C4 is indeed using a 256-bit memory controller, and has a maximum memory configuration of 8GB GDDR5 or GDDR5X memory. 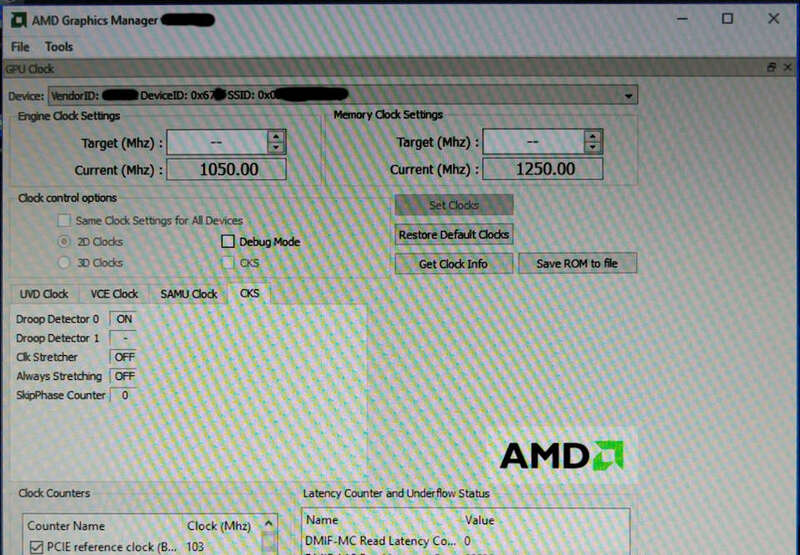 Finally, in regards to the clock speeds, while Polaris 10 is currently reaching between 800-1050Mhz, it’s expected for this clock speed also to be higher for final production cards, possibly hitting up to 1.15Ghz. The cards TDP is impressive, operating at only 110-135 Watts… which is rather low. 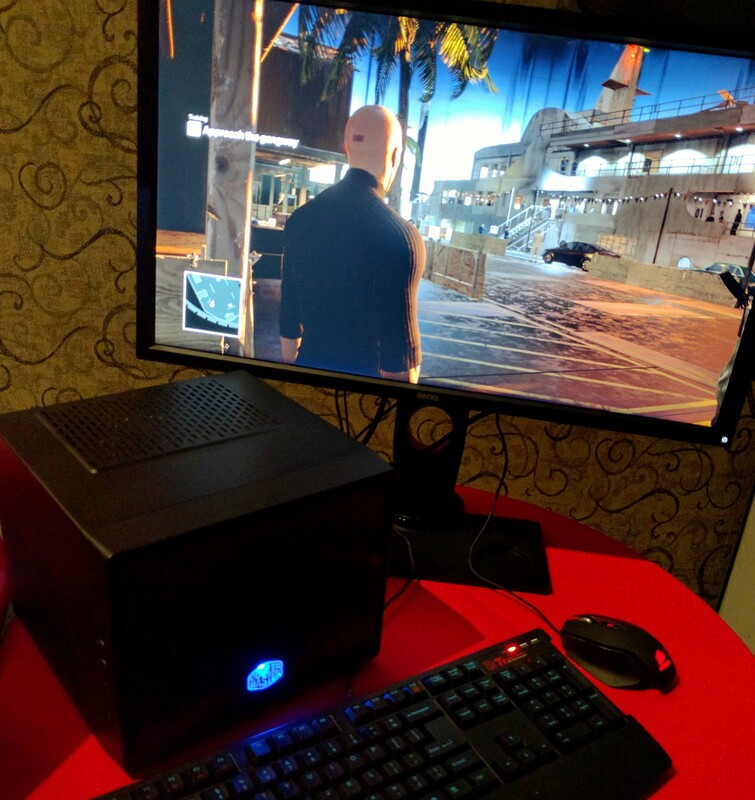 Hitman 2016 running on a Polaris 10 radeon GPU inside a small form factor PC. Currently the memory speed isn’t at the final shipping configuration, with the memory running at just 5000-6000MHZ, but will probably increase a little for final retail silicone. This should allow the GPU to have comparable bandwidth to the 512-bit bus found on Hawaii GPU’s, despite having a skinner bus width. This is particularly true when one considers the additional compression of Polaris (which is even greater than Tonga, given what AMD have said). Shifting down gears to Polaris 11 (the lower of the two SKU’s) which is codenamed Baffin, is even more power efficient, and will be aimed at replacing cards in a similar price range to the R7 370 cards. Supposedly, the TDP of the cards will be running at just 50W, what’s is incredibly impressive, and explains reports of Polaris 11 running VR video content passively. A report had surfaced detailing some of the potential specifications of the Polaris 11 ’67FF’ (the device name is actually Goose) card, which features 16 Compute Units. If the number of Stream Processors (shaders) for GCN 4.0 remains the same as it has in the past, we should see the maths play out like this: 16 Compute Units x 64 Shaders = 1024 Unified Cores. Supposedly the GPU would use just a 128-bit memory bus, but this should still provide ample bandwidth to feed the processor core when one takes into account the architectures improvements. The above is an example of the size difference of the various cores from Polaris 10, Polaris 11 and Vega 10. As a quick overview – this means we should see Polaris 11 and Polaris 10 debut this year (2016), with Greenland (AKA Vega 10) hitting shelves at some point early next year. Vega 10 will be the ultra high end of the cards, and is looking to feature 4096 shaders, and 16GB HBM2 memory, meaning performance compared to today’s cards should be superlative. 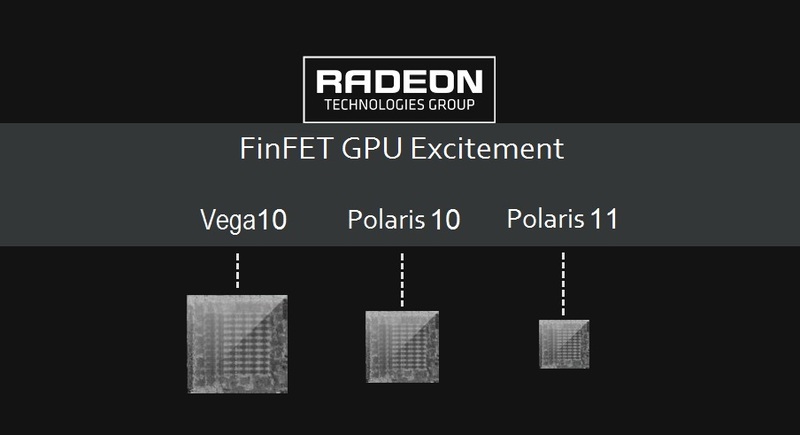 It’s expected AMD will officially unveil or launch Polaris at one of two upcoming events. The first being Computex 2016 (held between 31st and June 4th) or E3 2016 (taking place June 14-17). Tagged with AMD, graphics card, hardware, nvidia, pascal, PC gaming, polaris, polaris 10, polaris 11, technology.